Quando i nostri Clienti affrontano programmi di trasformazione digitale guidati dalla visione Industria 4.0 hanno bisogno della massima flessibilità ed adattamento alle loro situazioni specifiche. Per questo motivo le soluzioni LINCE di iBLio offrono diversi modi per utilizzare i dati delle macchine e dei sistemi industriali all’ interno dell’azienda adattandosi di volta in volta alle specifiche esigenze del Cliente. Tutte le opportunità offerte dal Piano Nazionale Industria 4.0 realizzato dal Ministero dello Sviluppo Economico. Con l’iperammortamento al 250%, introdotto dalla Legge di Bilancio 2017 (e confermato dalla Legge di Bilancio 2018) le imprese possono effettuare investimenti in beni strumentali nuovi, funzionali alla trasformazione tecnologica e digitale dei processi produttivi in una logica INDUSTRIA 4.0. Nato dal lavoro del nostro Team nel 2017, LINCE affronta il tema FABBRICA 4.0 offrendo ai propri clienti la possibilità di accedere alle numerose iniziative di finanziamento in conto capitale che il MISE, Ministero per lo Sviluppo Economico, sta proponendo a tutte la aziende italiane. Sigfox Spot’it is the first big data based Sigfox service, based on a Cloud intelligence, combining the signal strength indicators and deep learning programs. Resulting from two years of research and development, and thanks to the devices meta data available in the Sigfox Cloud, this development enables Sigfox to offer a geolocation service that does not require any hardware upgrade or software update, has no impact on the energy consumption and work booth indoor and outdoor. The service announced on February 16, 2017 here http://www.sigfox.com/en/news/sigfox-to-transform-global-asset-tracking-spot-it-world-s-lowest-cost-internet-of-things-iot , the official page here http://sigfox.com/en/sigfox-spot-it . in italian language, on this document. 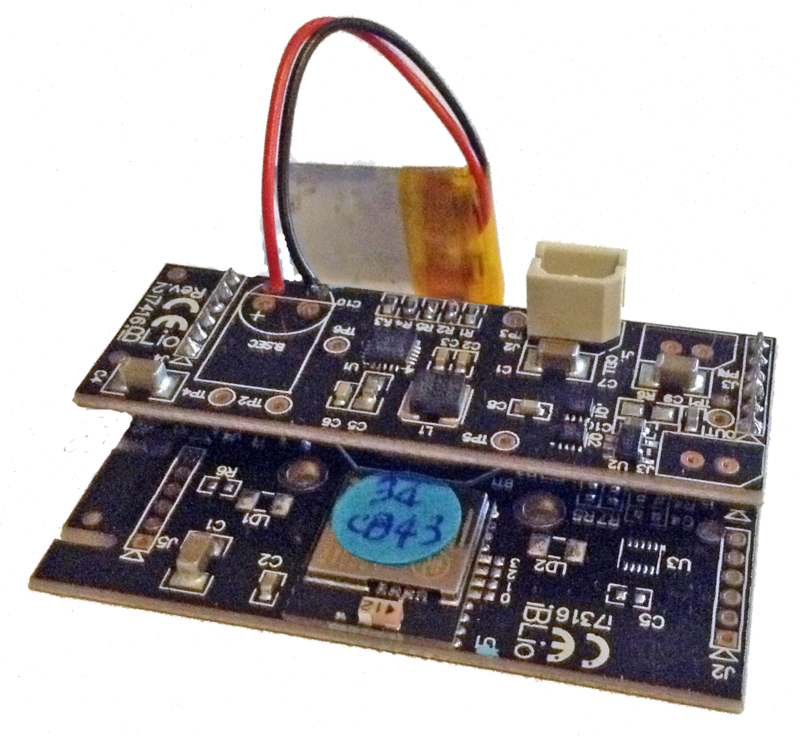 We use the i7816 Sigfox MODEM to design Custom IoT Connected Devices. Please contact us, using our Connect channels, to explain and discuss yours specific IoT Device requirements. The next version of the Bluetooth® 5 Core Specification has been adopted ! Two years of work with contributions from 47 working group members representing 22 member companies. That’s what it took to create the latest version of the Bluetooth Core Specification—Bluetooth 5, which was officially adopted on 6 December 2016. 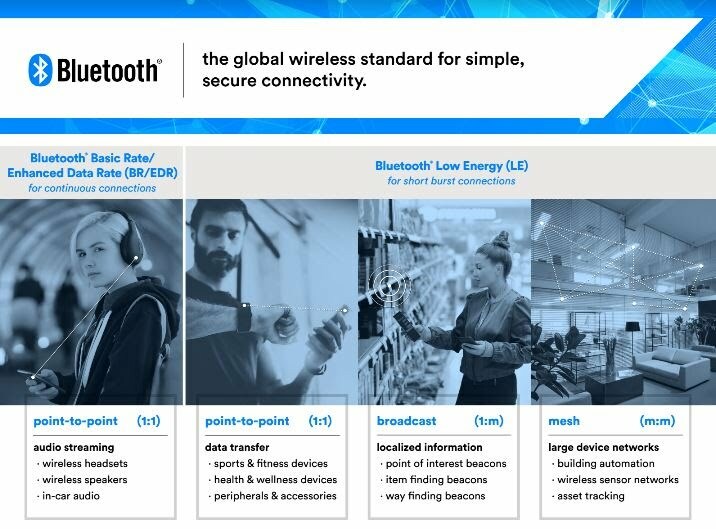 With up to 4x the range, 2x the speed and 8x the broadcasting message capacity, the enhancements of Bluetooth 5 focus on increasing functionality for the Internet of Things (IoT). The improvements to advertising extensions allow more efficient use of broadcasting channels on the increasingly crowded 2.4 Ghz band, enabling richer connectionless solutions. For mobile phone developers creating the next generation of devices, the update to slot availability masks can detect and prevent interference on neighboring bands to improve coexistence and interoperability in a global environment. On top of all this, building products with Bluetooth 5 will support even better interoperability, as the team has incorporated over 440 performance fixes and enhancements. In the BLUETOOTH RANGE WHITEPAPER the Bluetooth SIG report the iBLio effort to demistify the Bluetooth Range with the example of SuperFARO at the Lanterna di Genova in advance to the Bluetooth 5 adoption.